Professor Shadel spoke today to the Insurance Law Forum of the Women’s Bar Association of the District of Columbia. The topic was effective communication skills for female lawyers. In her speech, titled “Advocacy and Gender: Women, Speech and Power,” Professor Shadel discussed gendered behaviors women may exhibit while speaking in public. More information can be found at the DC Bar web site. 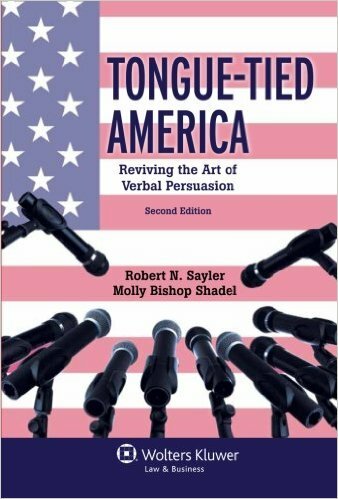 Molly Bishop Shadel and Robert N. Sayler are the authors of Tongue-Tied America and are using this blog to analyze the rhetoric of the 2016 presidential race. You can see our first post in this series here. Processing This Election: What Now? The Third Presidential Debate: What Kind of Country Are We Going To Be? To receive announcements about Tongue-Tied America, please fill out our contact form.